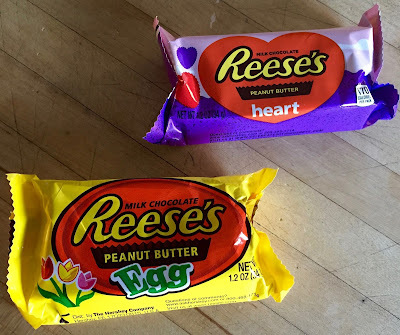 Junk Food Jones: Reese’s Peanut Butter Easter Eggs? 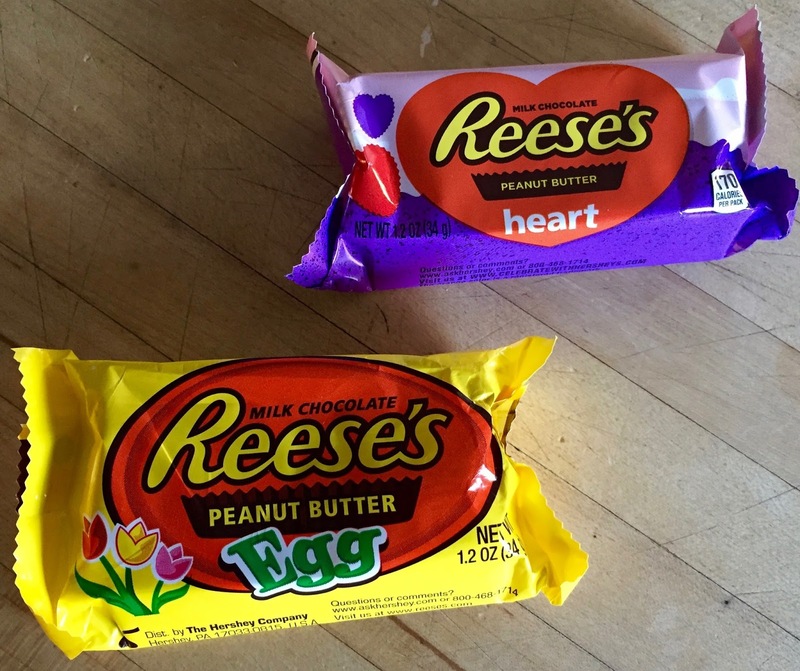 Reese’s Peanut Butter Easter Eggs? But since, with the possible exception of cheeseburgers, Reese’s products are my favorite junk food of all time I choked down my disapproval and grabbed me some of the first eggs of the season and when I got ‘em home and dug in, I realized that I’d been wrong. Very wrong. 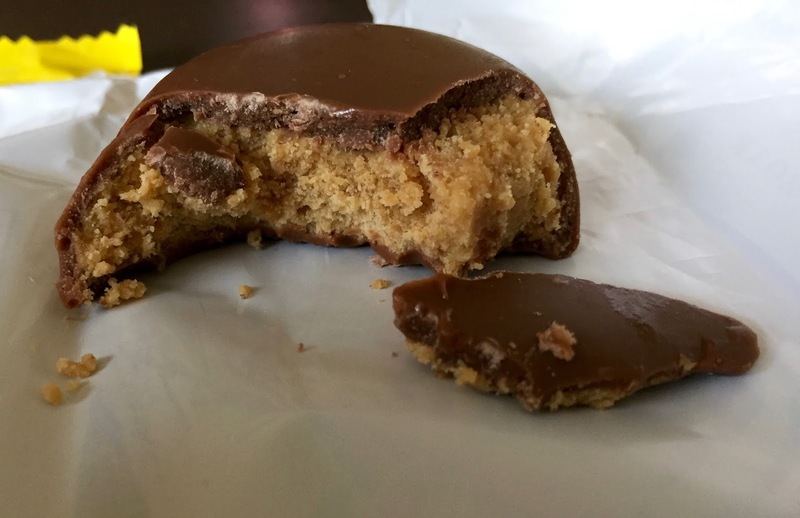 Here’s the deal: I love Reese’s Peanut Butter Cups so much that if they unearthed a package in the ruins of Palenque, assuming the wrapper was intact, I’d probably eat ‘em. (In my fantasy the Mayans were terrible at predicting the end of the world but visionary when it comes to mixing chocolate and peanut butter, I guess.) That being said, fresher is always better. Check out the difference. Here’s a left over X-mas tree. 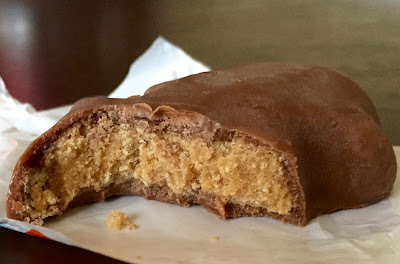 Look at the way the chocolate breaks and flakes away from the peanut butter filling. The blending hasn’t set in yet and it tastes way better. Well, there’s nothing fresher than the first Reese’s batch of the year. That’s why I now highly recommend rushing the season, skipping the hearts and going on an early Easter egg hunt. Of course, the Easter Bunny may not have paid your area a visit yet and, if you live near me, chances are I’ve already grabbed ‘em and growled. Clock’s ticking, man!